Volunteer and Collections Centre Guide Cameron Slater writes yet another fascinating blog, this time reflecting on the challenge of getting his 1955 MG back on the road. 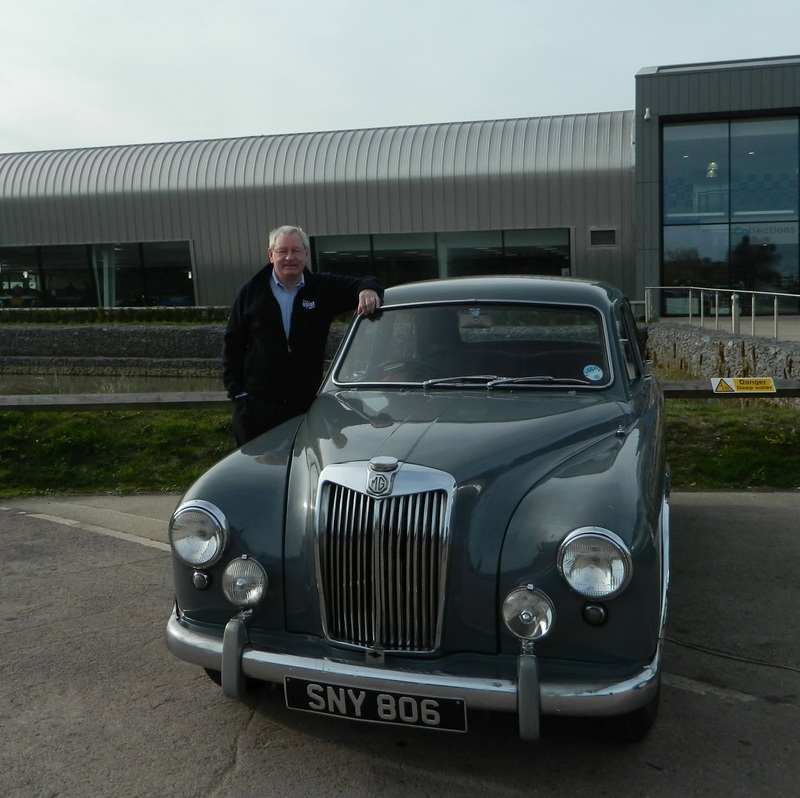 As you may have seen on the Museum’s Facebook pages, my 1955 MG Magnette ZA made its maiden voyage under my ownership from my home in Stratford upon Avon to the Museum for my Tuesday shift at the Collections Centre. Now this is no big deal, you might say, since it’s a round trip of only about 30 miles and people bring classic cars to the Museum all the time. Well, you’d be right, I suppose, but for me it was a momentous occasion and one of the things that made it so was the reaction I got from Sonja (our volunteer coordinator) and my colleagues on the day, John Saunders and Dennis Allen. They were hugely enthusiastic about the arrival - at long last – of my car, because I’d been boring them with tales of its progress (or lack of it) for about the past year or so. And I think this illustrates one of the joys of working in the Collections Centre as a volunteer; you can always count on colleagues to understand what you’ve gone through to get your ’restoration project’ back on the road, to give freely of their knowledge and experience of old cars and how to fix them; and you can always count on them to give you a hard time when they think you’ve done something really stupid! I bought the MG last year in late August as a restoration project. Despite this, it looked quite good from about ten feet away and it started, ran and stopped, and although the interior was pretty ropey, we’re not talking basket case here. However, it was clear that I had some work to do. Now, on the Time Road in the main museum there is a very fine ZB Magnette. It’s not so very different from the ZA so a close examination of its beautiful interior, it’s more or less flawless bodywork and its original engine acted as an incentive towards getting some work done on my new acquisition and getting it back on the road. And that’s another benefit of working at BMM – you can see some of the best examples of particular models which then give you an ideal to work towards. 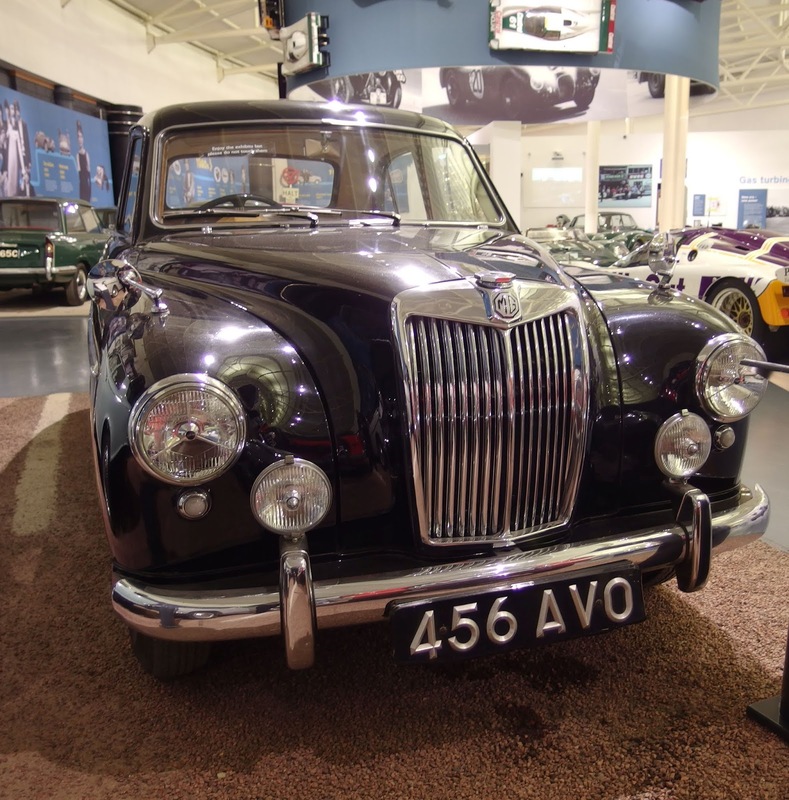 The MG Magnette ZA was introduced in 1954 but was not liked by your typical MG enthusiast because it used the monocoque body shell from the 1952 Wolseley 4/44. It did, however, have a twin S.U. carburettor engine, a more luxurious interior and rather more energetic performance than the Wolseley. The designer was Gerald Palmer and you can also clearly see his influence on the BMC cars of this period in the much bigger Wolseley 6/90 (1954) and the Riley Pathfinder (1953). The ZB Magnette was introduced in 1956 with a slightly more powerful engine and minor changes to the exterior chrome work and this is the model you will see on the Time Road in the main museum. MG also offered the Varitone version of the ZB which had a larger, wrap-round rear screen and two-tone paint combinations. ‘Magnette’ was an old-established name for MG. It started with the Magna in 1931 which was a very respectable sporting two seater in its day which went on to carry a number of body styles. ‘Magna’ is Latin for ‘big’, since you ask, so, for example, magna femina means ‘a big woman’. Then, in 1932, MG introduced the famous K1 and K2 Magnette series. Magnette is a kind of combination of Latin and French and could be translated as ‘the little big one’. The Collections Centre has a lovely 1936 NB Magnette with a beautiful 1271cc 6 cylinder engine and I always draw people’s attention to this car in any tours I do. The MG octagon badge is everywhere on the car and even the sidelights are octagonal. But to return to my own Magnette, the first thing I usually do with a ‘new’ car like this is to get the wheels off and have a look at the brakes. Things here could hardly have been worse. The brake shoes were worn, certainly, but on all four wheels the pull-off springs were fitted in front of the shoes rather than behind them and the beehive retaining springs simply weren’t there. The drums were all badly scored and the rear drums were working as a kind of reservoir for the oil in the rear axle (if there was actually any oil left in there). So that was two fairly major jobs that needed to be done before I could even think of taking the car out on the road; the brakes I could deal with, but I wasn’t so sure about the axle seals and bearings. The next thing I discovered was just as dangerous as the state of the brakes. The S.U. fuel pump is mounted in the boot and the feeder pipe to the carburettors runs under the floor and bends up into the engine bay. Now I think we would all expect this fuel line to be either copper or steel. Wrong! Some previous owner with either a warped sense of humour or a desire for self-immolation had run a plastic pipe, of the sort you would normally use for windscreen washers, from pump to carburettors and had fed it up into the engine bay through a tight space already occupied by the downpipe from the exhaust manifold; there was about a centimetre separating them. I sorted that one out very quickly! The other thing I hadn’t got round to was the problems with the rear axle mainly because I had never tackled this before and my facilities at home are a bit limited to deal with this kind of job. So I approached one of my local garages and after some discussion and a look at the workshop manual they agreed to take it on. Just as well they did, because one of the hubs was very reluctant to move and I do not have the kind of heavy lifting gear they had to use! Then there’s the electrics. I’ve removed miles of redundant wiring from behind the dashboard and the engine bay but it’s still a bit of a mess. Neither the trafficator switch (yes, I’m still using trafficators) nor the horn button on the steering wheel boss works; the switch for the trafficators is now under the dashboard on the left and the horn is under the dashboard on the right. There’s no panel light and the wiring for the sidelights, fog lights and headlights is bizarre – but they all work. The thing that didn’t work was the dipswitch so I thought this would be an easy fix. Wrong again! A job that I thought should have taken, oh, let’s say about half an hour at the most, took me five days! The details are too painful to remember but involved seized nuts and bolts, broken drill bits, angle grinders, skinned knuckles and a very painful back for about a week after the damned thing was finally installed. Just another example of the joys of classic car ownership! There is, of course, still much to do. The seats have several tears in the leather, the door cards are wrong and need to be replaced, the trafficators need to be replaced with flashing indicators, the windscreen washers need to be brought up to date and so on …… and on …….. and on. But maybe someday I’ll be able to bring it to the Museum, put it beside the ZB on the Time Road ……. and then realise that there’s still a lot to do before it reaches that standard!